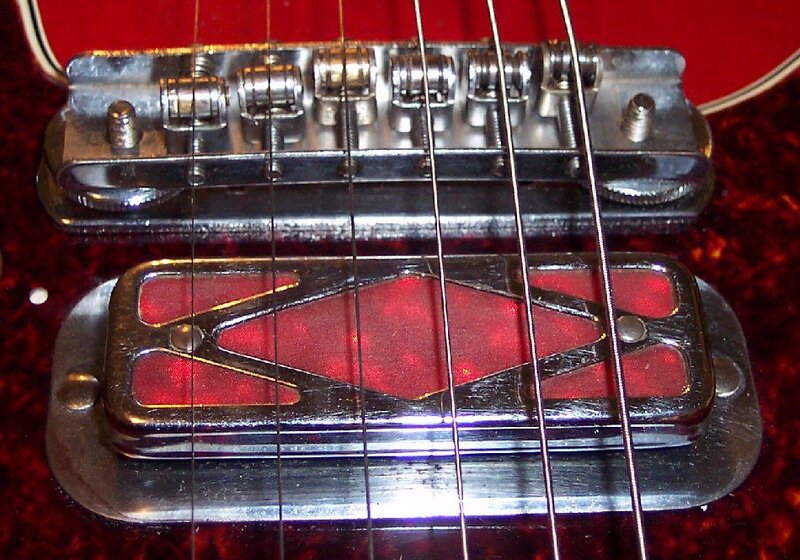 See data research for bridge and wide string spacing at upper neck. 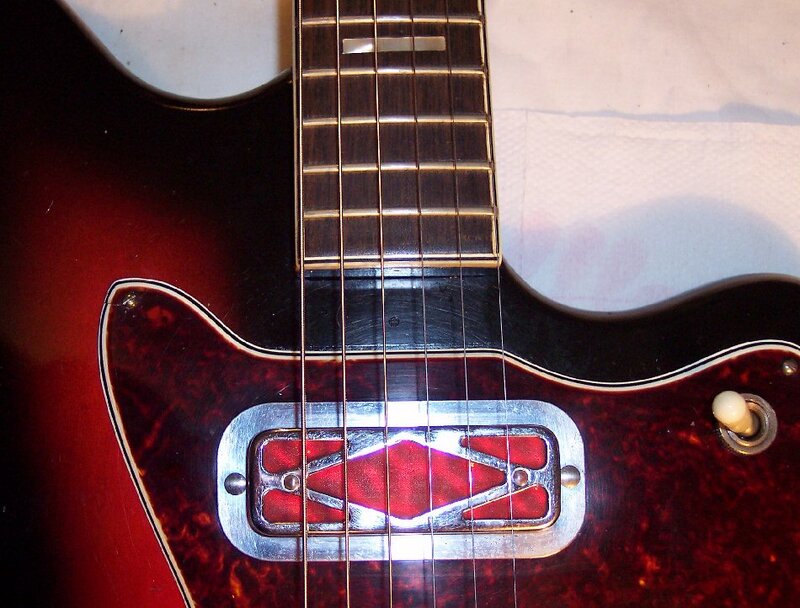 Bridge in position and intonation set / confirmed. 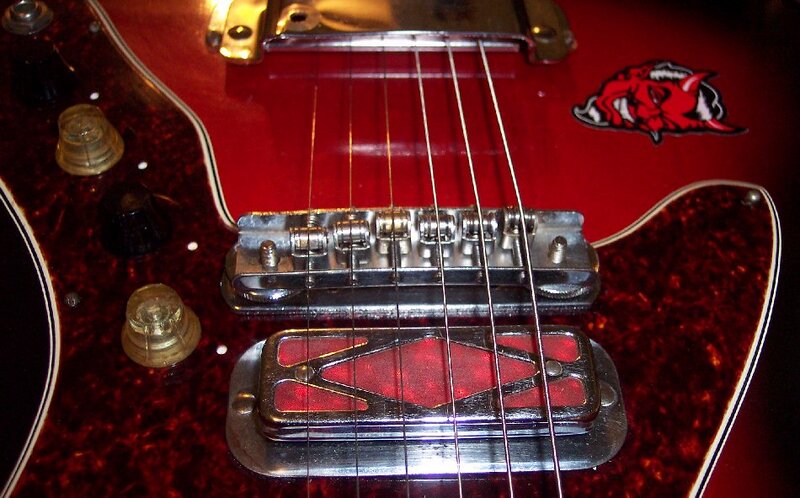 This is an NOS similar bridge I found in my vintage parts collection. It is obviously the same manufacturer but the saddles are slightly higher and the bridge's stud mounting holes are slightly too narrow. 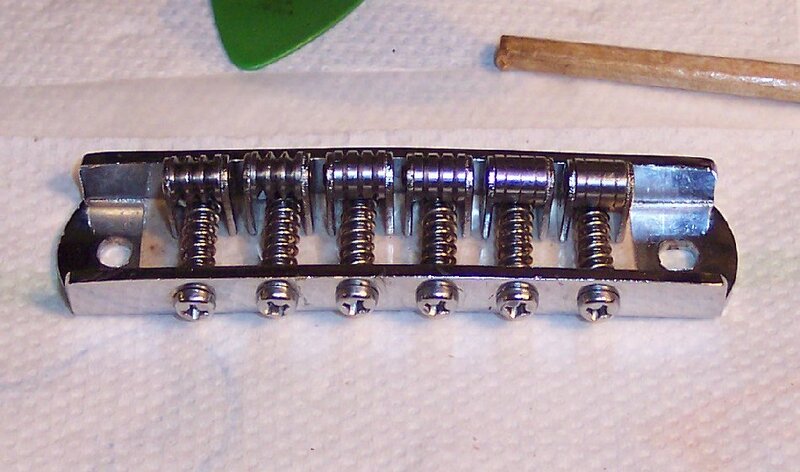 I pulled this bridge out to use it's saddle rollers on The Rascal, if the saddles fit as well as they seemed off the guitar, and / or the mounting holes span can be widened, ....which of either might show to be a meaningful improvement. 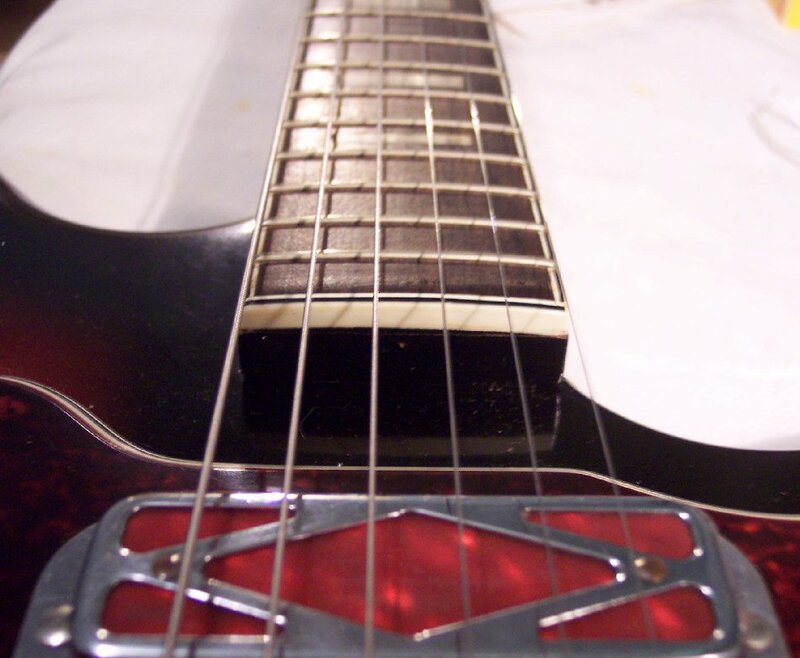 Harmony designed their H19 and ST1478 necks to be narrow at the top end, yet used standard string span specs for both their wood and metal bridges, ....which made the string span at the upper end of the neck reach the very extreme ends of the frets. That might have been OK for their markets playing techniques and skills in the 1960's, ....but Players with modern playing techniques and skills can be a bit annoyed at the strings being at the extreme edges of the frets near the last 5 frets or-so. I am providing a page of data linked below to search in the future for a bridge with narrower than standard string spacing / span to eliviate this "problem".